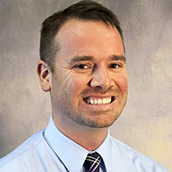 Eric Imbrescia is an instructor in Middle, Secondary & Mathematics Education Department. He began his career in Rockingham County, Virginia where he taught third grade for 11 years before moving to teach kindergarten for a year. During his time as a third-grade teacher Eric completed his M.Ed. as a K-8 Mathematics Specialist at James Madison University. Eric has been recognized by the Virginia Council of Teachers of Mathematics as the Elementary Mathematics Educator of the Year in 2013 for the state of Virginia. In 2014, he was the recipient of the National Presidential Award for Excellence in Mathematics and Science Teaching, an award given to the nation’s top mathematics educators.